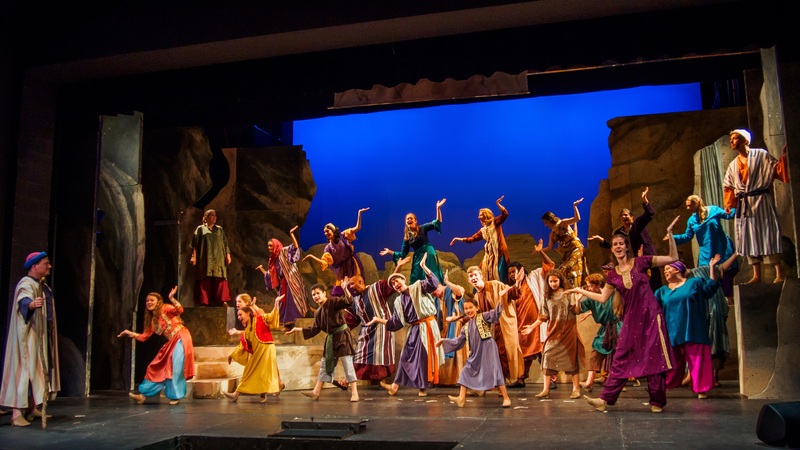 The Children of Eden was initially penned in 1986 by Youth Sing Praise, which was a high school theatre camp that placed great emphasis on religion. Back then it was titled Family Tree, with its first performance at the National Shrine of Our Lady of the Snows in Belleville, Illinois. It was Stephen Schwartz who adapted the script and music of the original story and conceptualized the delightful musical fare we see today. Developed as a Royal Shakespeare Company (RSC) workshop and directed by John Caird. After severe budget cuts, it opened at the Prince Edward Theatre in London’s West End on January 8, 1991. Unfortunately, it lasted only a little over 4 months due to poor reviews, dampening all dreams of a switch to Broadway. Even the original London cast album being released on CD and LP, faced problems as the CDs were full of manufacturing glitches rendering the discs unplayable. Till date the only reminder of the original cast of the show exists in a playable copy of the disc that features Stephen Schwartz playing the piano. Very few people have the CD or a digital copy in possession, which includes Schwartz himself and Michael Kol. This rare recording was done before the Paper Mill Playhouse production, so all rewrites and revisions could be reviewed properly. During the 1990s, there were several production houses that tried to revive Children of Eden with revisions, editing, and introduction of songs and scenes. Papermill opened the play in Millburn, New Jersey, featuring Stephanie Mills, which is the licensed version for production in the United States. It is also referred to as the Paper Mill version. The story revolves around biblical stories of Genesis interweaved with personal interactions within a family. This is an amazing musical that has featured up to 60 members at a time! It starts with the creation of the universe, where Father gives life to his children Adam and Eve, and is faced with the pain of sacrifice when he has to let them go. The same lesson is integrated into the parenting of Cain, Abel, and Seth and Noah when it comes to his sons Shem, Ham, and Japheth. The musical teaches you various emotions, evaluates choices you make, risks that have to be undertaken, and consequences that can’t be avoided. This musical is coming to San Antonio in October, so make sure your tickets are booked well in advance.